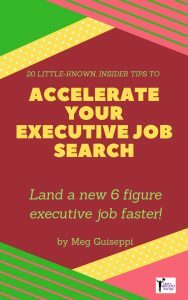 How to get people to spread the word about your unique value in the executive job market. You may feel that “Brand Evangelism” is a fussy term. It may even turn you off to the whole concept of personal branding. 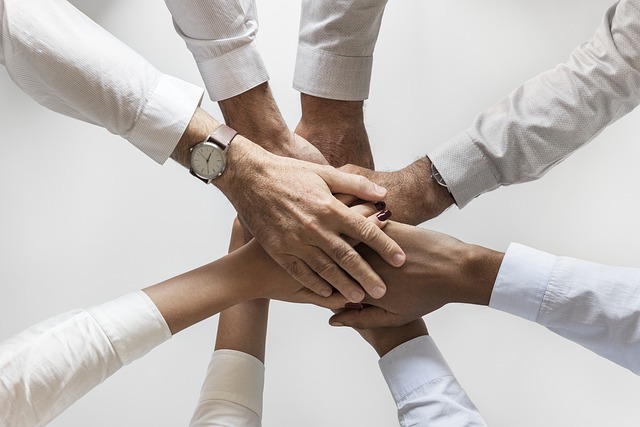 We all benefit from, and need, the support of the people who surround us – friends, peers, managers, staff, employees, clients, mentors, mentees, etc. – to help promote us . . . especially when we’re job-hunting. 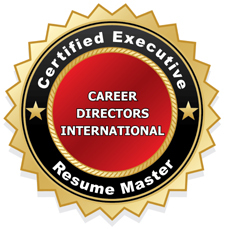 Successful executive job search is all about targeted marketing – communicating your unique value to your target audience across various channels, online and off-line. Simply put, all job seekers need to think of themselves in some regards as a product that requires promotion to “sell” well. 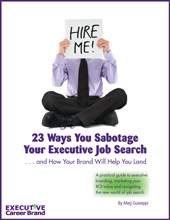 They need to know who they’re selling their product to – that is, which specific employers. And they need to know why those employers need them. “A brand evangelist is a person who believes in your product or service so fervently that he or she aggressively promotes it to others. Customers buy things. Brand evangelists preach about the things that they have bought. Brand evangelism comes about when you network well. Stay top-of-mind with your networks. Practice “give to get” networking. That is, do things for your network without being asked. They’ll be much more likely and willing to reciprocate, and support you when you need it. Brand evangelism can come from all corners, and sometimes when you least expect it. And sometimes, you reach out to someone to do you a favor that will support and promote your brand, and they come through in a way that exceeds your expectations. A recent client of mine was such a person. A CMO for big global brands, Andreas was truly a dream client. He “got” what my personal branding and content writing process was all about. He understood the value, right from the start. He knew that, although he would have to invest a fair amount of time doing the work, the payoff would be well worth his efforts. He trusted that I knew what I was doing, and that if he did his part well, he could leave the rest in my hands and I would do my part well. In a crowded space, we differentiated his unique value and great-fit qualities over fierce competition. After I complete writing projects with all my clients, I always ask them if they will write a LinkedIn recommendation for me. 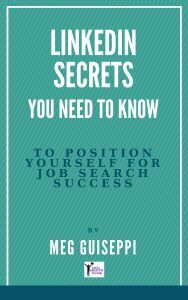 Most of the time, those who are not job hunting undercover – and can’t risk “outing” their search – are happy to do so. He was thrilled with the content I wrote for him, for his resume and LinkedIn profile, and was happy to write a recommendation for me. What he wrote was way beyond the good things most clients have to say about our work together. And he took his recommendation beyond the norm. Along with writing the LinkedIn recommendation for me, he posted the glowing endorsement as a LinkedIn Pulse article (which is no longer accessible on Pulse). By the way, our hard work paid off. He landed a great-fit new job in about a month. Wrap your head around the given that you need to be a brand evangelist for people in your networks, so that they’ll respond in kind. “Brand evangelism is everything good about marketing in one single entity. It’s personal, because real selling involves true personality. It’s grassroots, because people follow the crowd. It’s free, because true passion can’t be bought. It’s contagious, because people follow excitement. It’s compelling, because true evangelists are authentic and honest. It’s impossible to stop, because brand evangelists are fully convinced. Here are some “give to get” things you can do to promote people in your networks. 1. Connect with them on LinkedIn. 2. Share a LinkedIn update that mentions them. 3. Surprise people with unexpected LinkedIn recommendations. 4. 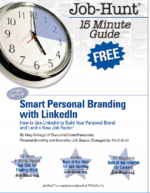 Share their LinkedIn updates, Pulse articles, tweets, and other social media activities. 5. Click on their various LinkedIn profile “Skills” to endorse them. Go beyond the tips above to encourage your own brand evangelists. 1. Make your personal brand memorable. 2. Write great content online that people want to share. 3. Ask for LinkedIn recommendations. 4. Stay top-of-mind with people by sharing LinkedIn updates about yourself. 5. Retweet the tweets of people in your networks – a powerful Twitter strategy. 6. Send hand-written thank you’s to everyone involved with your job interviews, and anyone else who helps you with your career goals. 7. Smile a lot when you’re face to face with people. Sounds simple, but a winning smile goes a long way.